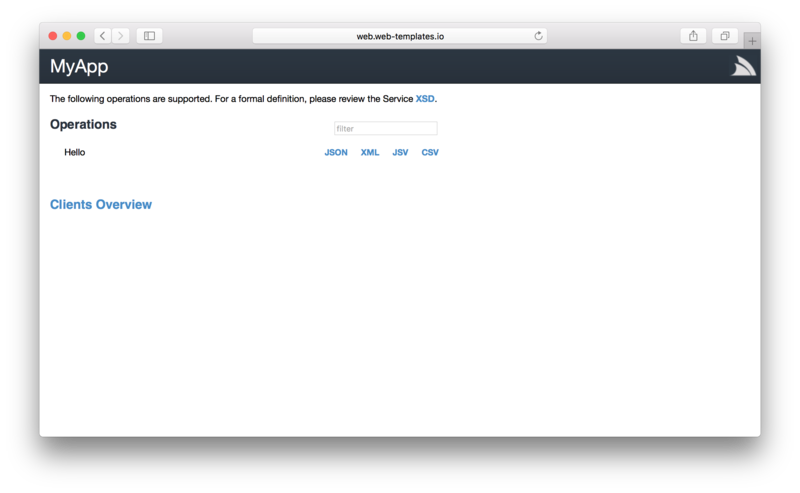 If you prefer starting from an Empty slate you can use the web template to create the minimal configuration for a Web Application whilst the selfhost template can be used to develop Self-Hosting Console Apps. Both templates still follow our recommended physical project layout but are configured with the minimum number of dependencies, e.g. the selfhost Console App just has a dependency on Microsoft.AspNetCore.Server.Kestrel and ServiceStack, in contrast most templates have a dependency on the all-encompassing Microsoft.AspNetCore.All meta package. You can use winservice-netfx to create a Windows Service but as this requires Visual Studio it’s faster to continue creating new Windows Service projects within VS.NET using the ServiceStack Windows Service Empty Project Template.